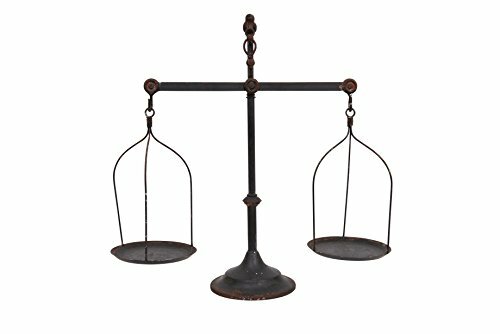 Equally at home in an antiqued and country-chic ensemble alike, make this eye-catching antique scale the highlight your room décor. you can display some favorite trinkets on each of the scales or place tiny flowers and greenery on each side. If you want to become really creative, find some miniature vintage flour or grain sacks and make it look like it is actually weighing the items. 18.2L x 7.4W x 23.8H in.